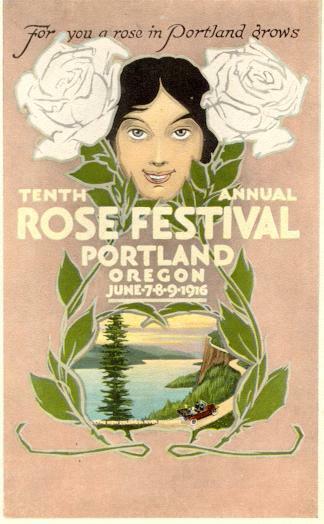 Rose Festival arrives in late spring as the roses begin to bloom. Portlanders pause in their everyday pursuits to celebrate a mythical Kingdom that is ruled by the Queen of Rosaria and her Court who each represent one of Portland’s high schools. This tradition dates back to 1907 and features the Grand Floral Parade, which is the second largest floral parade in the nation. Geraldine Schmeer was a Rose Festival Princess in 1946 from John Adams High School. Jean Speck was a Rose Festival Princess in 1959 from Washington High School. Her grandparent's were members of the Greenwald family. Grace Marie Kunert was the 1986 Junior Rose Festival Queen from Trinity Lutheran Grade School. Contact us if you know of someone who should be added to this list.